Congrats to AP on SPOTY! 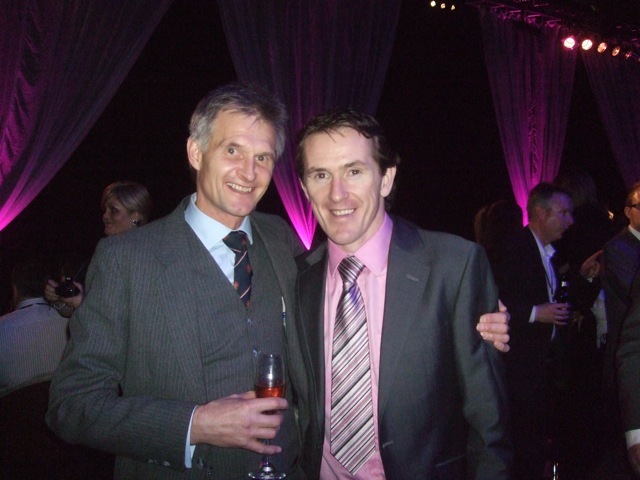 Many congratulations to AP McCoy on winning Sports Personality of the Year by a distance! A fantastic result for everyone in racing and not least for the most worthy of recipients. The Amateur Jockeys Association held their AGM on 14th December when Gay Kindersley announced his retirement after over 50 years firstly as President of The Amateur Riders Association of Great Britain and then, upon its merger with the Lady Jockeys Association in 1995, President of The Amateur Jockeys Association of Great Britain. Gay Kindersley is now appointed Honorary President of the AJA and will retain his strong links with the Association. Dr Philip Pritchard was welcomed as the AJA’s new President with Bill Shand Kydd remaining as Vice President. Well done to Russell Lindsay who won this afternoon’s first race at Catterick, the amateur hurdle, when making his racecourse debut appearance. Riding SAMBELUCKY he held the horse up in the rear before making steady headway, tracking the leaders from 3 out to stay on well and be first past the post by a neck from What’s Occurrin. 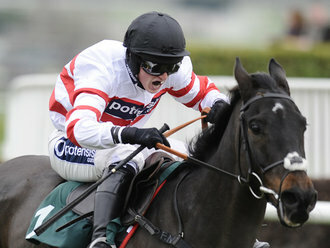 Russell is aged 18 and joined trainer Keith Reveley in the summer. The trainer said “We had at least two feet of snow but we were able to canter on it, although only slowly. Russell is from Hawick and he’s done plenty of riding and hunting. He’ll be doing some point-to-pointing and he’ll go to France with my son James in the summer. He’s a good rider.” Sambelucky’s victory was the first of a 4,555-1 treble for Keith Reveley! Good luck to Russell in keeping his 100% record intact! WOOLCOMBE FOLLY got Paul Nicholls’ day off to the best possible start at Cheltenham this afternoon with a fine performance under Ryan Mahon. The race was always likely to be staged at a blistering gallop with a number of proven front runners and Ryan held his mount up in mid-division, before asking him to get closer after the tenth and challenge the leader Tanks For That at the last, going away to win by 6 lengths. Cheltenham Racecourse today announced that multiple Derby-winning trainer Henry Cecil will be the Guest of Honour for the first ever St Patrick’s Day Derby at Cheltenham on Thursday, March 17, 2011. The one mile, five furlong charity flat race, run as the seventh race that day, will raise money for Cancer Research UK, this season’s chosen Festival charity. Commenting upon his involvement, Cecil said: “I was delighted and honoured to be invited by Cheltenham to get involved in the St Patrick’s Day Derby. I’ve always admired the wonderful sport at The Festival from afar, but this will be my first ever visit to the meeting and I am looking forward to sampling the atmosphere at first hand. This will be the last time for several years that St Patrick’s Day is on a Festival raceday and the occasion will be marked by a series of events and displays with a uniquely Irish feel. The Cheltenham team is hoping that the special charity race and the presence of Henry Cecil will add further interest to what is already a spectacular day of high-class Jump racing. The Racecourse’s Managing Director, Edward Gillespie, said: “Henry Cecil’s achievements are the stuff of legend, but what is equally remarkable is his universal popularity amongst the racing fraternity, from racegoers, betting shop punters and casual racing fans to fellow trainers and the sport’s professionals across the globe. Jools Tait, Director of Partnerships of Cancer Research UK, added: “We are thrilled to be involved in this exciting addition to The Festival 2011. Applications are now being invited for the charity race, with a maximum field of 12 runners, open to any amateur riders, licensed or not. 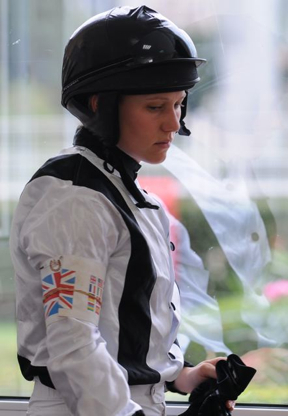 Each rider is required to raise a minimum of £5,000 in sponsorship and participants have to provide their own mount, which must have run at least twice under the recognised Rules of Racing. Applications close on December 31, 2010. 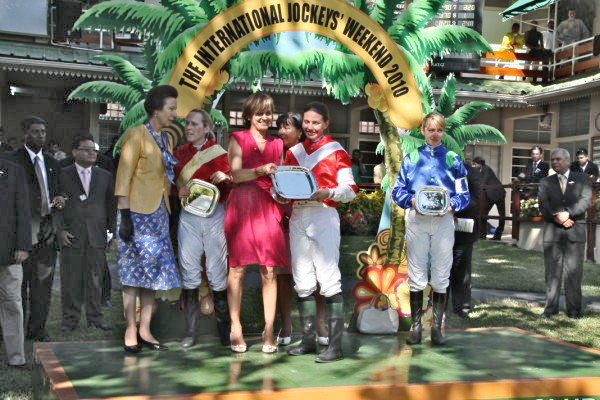 The finale of the ladies Fegentri season was held today in Mauritius with four lady jockeys going into the race with only 14 points between them: Ruth Jefferson (GB) 151; Pauline Boisgontier (France) 144; Tina Henricksson (Sweden) 143 and Nina Wagner (Germany) 137. 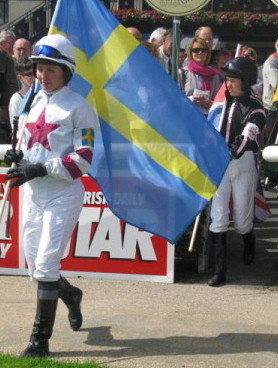 Sadly for Ruth she was unplaced today with Tina Henricksson 2nd, handing Tina the Fegentri Ladies World Championship 2010. Many congratulations to Tina and Sweden on their new status and many congratulations to Ruth who has been a wonderful ambassador for Great Britain and worked hard to keep the runner up slot for us for the third year running, which is a great achievement. Members of the AJA are invited to attend the AGM to be held on Tuesday 14th December at The Queens, East Garston at 11.30 am. Please advise Sarah Oliver if you are able to attend in order that catering can be arranged for you.